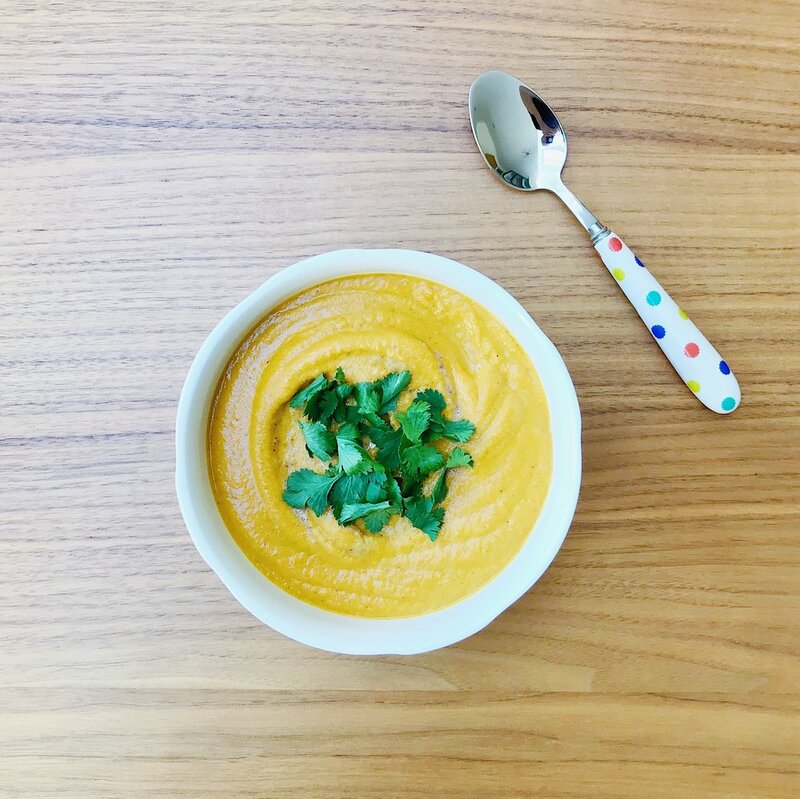 As the weather gets cooler, an evening in with a big bowl of soup becomes more and more appealing – and to celebrate Autumnal flavours, we’ve created a seasonal pumpkin recipe. It’s warming with uplifting spices and creamy with coconut. We also made this recipe super simple so that it can be made in five minutes and stored in the fridge / freezer for later on in the week. There are two options with this recipe. You can either use tinned pumpkin puree (preferably 100%) or fresh pumpkin, even if it has a face carved into it. With the latter option, peel, chop and steam the same amount (425g) for about 20 minutes until soft. Usually, soups require you to gently sauté ingredients before blending – but for ease and speed, we simply blitzed all the above ingredients until smooth. We used a Nutribullet and did it in two stages to make sure everything was thoroughly combined. Finally, transfer it into a saucepan, gently heat; serve and garnish with a drizzle of Golden Nut Butter, fresh coriander and a dollop of yoghurt or crème fraîche.